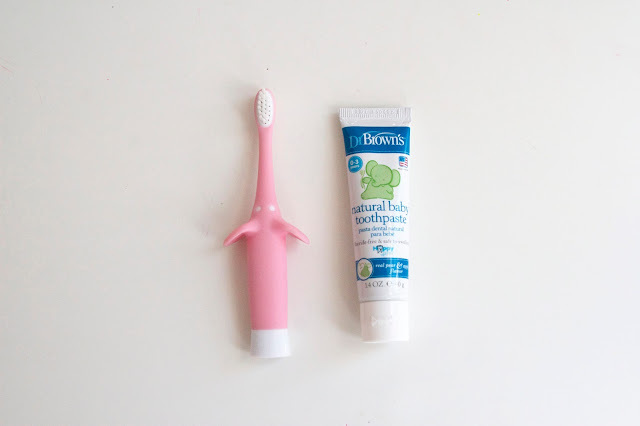 i am in europe this weekend for a business trip (day job) but i had to share this adorable toothbrush for babies and toddler from dr. brown's. 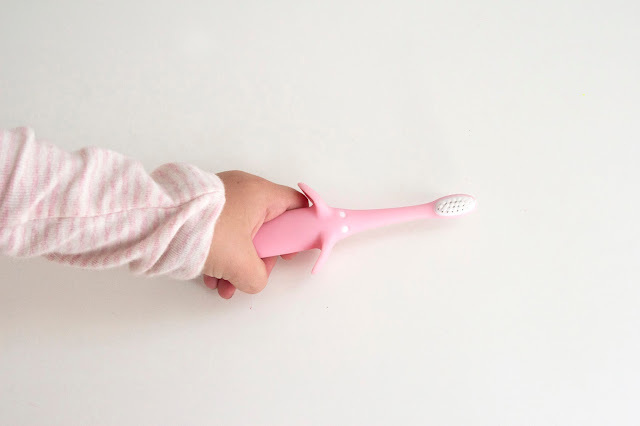 it is the perfect size and grip for little adela. the best part is dr. brown's makes natural toothpaste in a real actual flavor: pear and apple. yum!